Thread: Where are the morphs and breeders? Ok so I have been into tokays for about 5 years now! When I joined this site . I haven’t seen any posts from billewiz Ethan or Elizabeth and Spotted I’m forever and the websites are outdated. I’m in serious need of a coupl morphs coming in the next year! Just reaching out too see if anyone still exists and how there project are going as it has been a while! Thanks. 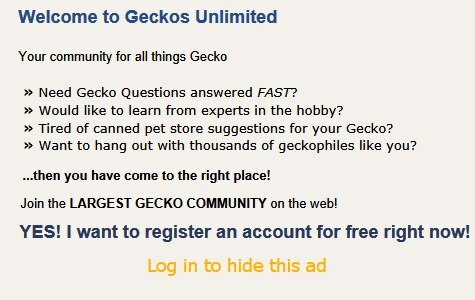 I have nothing to do with Tokays, but there are sometimes ads for tokay morphs on faunaclassified.com. It's also worthwhile to do a search on Facebook. I found at least one tokay morph site there. I would pm Ethan. he doesn't follow the subforums as much as he used to, but will respond readily to PM. I'm always around, but I don't keep tokays. Did you find some tokays "out there"?